Are complicated grief criteria better for diagnosing grief disorder than prolonged grief disorder criteria?—Yes. Nearly everyone experiences bereavement during their life, followed by a period of acute grief. 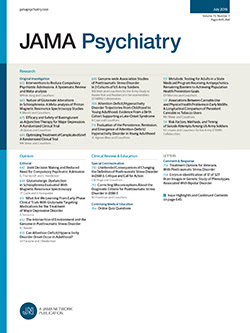 There is substantial evidence that a painful impairing form of grief persists among a minority of bereaved individuals that is associated with heightened suicidality, mental and physical morbidity, and an elevated risk of mortality.1,2 Evidence-based treatments are available for this condition,3 underscoring the need to provide clinicians with reliable diagnostic criteria.